ERROL SPENCE is the No.1 welterweight in the world and has the beating of Terence Crawford and Keith Thurman, according to Paulie Malignaggi. 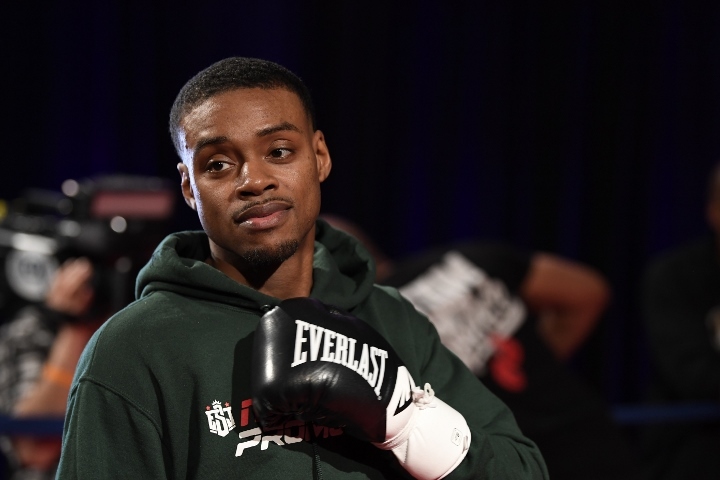 Spence put on a boxing clinic against Mikey Garcia in Arlington, Texas, last Saturday. The odds were well and truly stacked against Garcia, who at 147 pounds was fighting two weight classes above his natural division, as he aimed to become a five-weight world champion at the Cowboys Stadium. Many believed Spence would prove too sturdy, too powerful, too big for the 31-year-old, and while the bout went the distance - such forecasts came true in brutal fashion. ‘The Truth’ won every round on the judges’ scorecards in one of the most one-sided contests involving pound-for-pound giants in recent memory, which could and probably should have been halted sooner, handing him a conclusive unanimous points victory with two scores of 120-108 and one of 120-107. Malignaggi, a former two division world champion who held the WBA welterweight strap from 2012-13, believes IBF chief Spence is the best fighter in the division, while questioning whether going the distance could take its toll on Garcia. “Credit to Errol Spence, he didn’t just win the fight physically like people thought he would where he was too big. He actually won the fight skilfully,” he exclusively told Starsport. “Early on in the fight he didn’t even use any physical part of himself. He stayed on the outside and outboxed Mikey, he really showed that he was the better boxer no matter what weight class it was in. “But, yeah, I don’t know if going the 12 rounds actually hurts Mikey Garcia because he took a lot of punishment late in the fight. “I don’t know if it should have been stopped, but it was definitely up in the air. Mikey’s a brave guy, Mikey’s a good guy. He’s a very, very good fighter for his weight class – but there’s weight classes for a reason. “At that point you’re just taking punishment, because you don’t wanna be surviving against a guy like Errol Spence when he starts bringing the fight to you. “Credit for going the distance, but when your plan at a certain point in the fight becomes to just go the distance, at a certain point in the fight Errol convinced him: ‘you’ll be lucky to go the distance tonight, forget about winning’, but once your mindset becomes that, it becomes a little bit more dangerous. “Credit to him for going the distance, but hopefully he’s kept enough of himself for what he can continue his career at a high level – and at a lower weight class. When asked how Spence will fare against the likes of Crawford and Thurman, Malignaggi replied: “I think Errol’s the best welterweight in the world, I really do. I don’t think anybody beats him. Spence Crawford and Thurman are evenly matched. If this is handled properly they could make a ton of money off of each other in a rivalry.